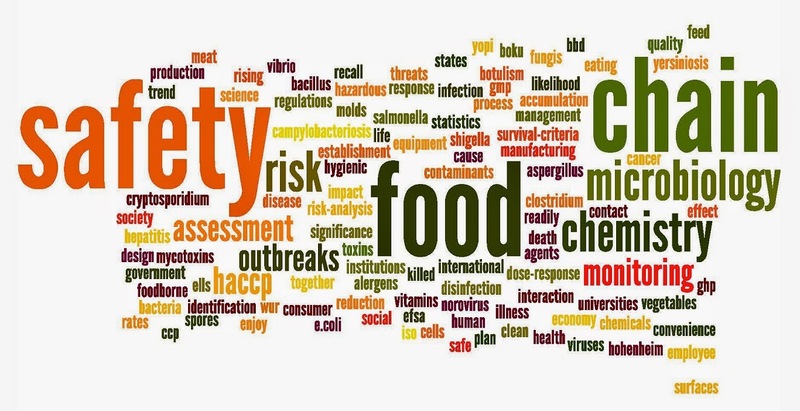 Providing a clean, healthy, and safe facility is mission critical for any business. In today’s competitive marketplace, clean and fresh facilities prevent negative experiences that lead to the loss of good employees & customers. Supplies are one factor in the quality delivered by any cleaning program. 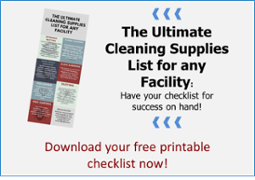 Although supplies by themselves do not produce results, and though there is no such thing as a single list of essential supplies, there are supplies that should generally be considered part of the Ultimate Cleaning Supplies list for any business. After the cleaning objectives are defined, the program and processes have been created, training and communication complete, and performance measurements outlined, then defining mission critical supplies will establish clarity, ensure consistency, and control costs most effectively leading to successful results. 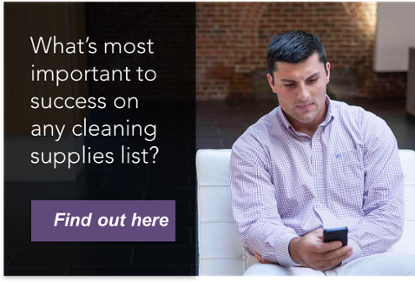 This overview provides the most important items on a cleaning supplies list for the majority of facilities. In the sections below, we highlight common areas of focus to consider when planning for the unique environments that may be found in your facility. When planning a cleaning supplies list for schools, the high concentration of students has a unique set of challenges. Today’s hard floor care supplies should include technology designed to eliminate costly annual stripping processes and reduce overall maintenance costs. The health and safety of all building occupants, workers and visitors is important. Technology has finally reached the point where there is no reason to expose people to hazards to save money and achieve results. With a program like the Action SmartSite™, schools can achieve clean, healthy environments while saving money over inferior programs of the past. A common theme in many public, private and parochial schools is that custodial staff members are often called upon to complete tasks that do not involve cleaning and facility maintenance. Proper planning will ensure that additional workloading is possible without sacrificing the cleanliness of the facility or the health and safety of its occupants. Technology in many sectors is making rapid advances that bring with them new opportunities to increase performance and reduce cost. Initiatives that challenge the status quo and embrace new ideas and new technologies to continually cut waste and optimize cleaning allow schools to reinvest in education! Progressive facilities interested in exploring the possibility of optimizing both cost and performance will experience eye-popping results. Check out this case study. Healthcare Associated Infections are among the top priorities for facilities providing patient healthcare today. Healthcare Associated Infections, also known as HAI’s, are infections contracted by patients while receiving care in a healthcare facility. 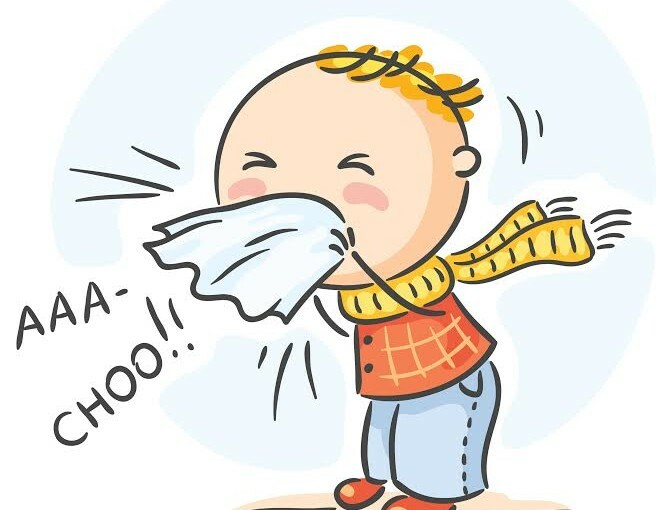 According to the CDC, on any given day, one in 25 hospital patients has at least one Healthcare Associated Infection. 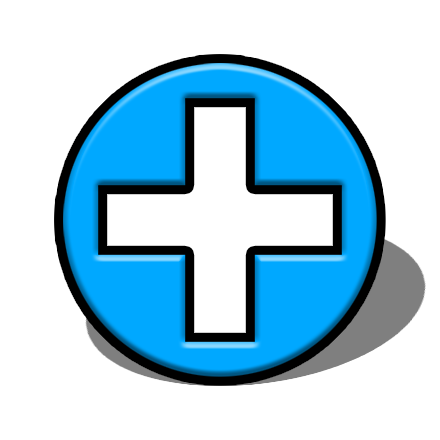 Although the statistics about HAI’s are alarming, research has shown that implementing preventive practices can lead to a 70 percent reduction in Healthcare Associated Infections. The number one must-have item added to a cleaning supplies list for healthcare facilities to support preventive practices is SYNCHRONIZATION. Synchronization is the process of aligning the processes, communications, training, and products in healthcare facilities to develop continuous improvement outcomes and reduce HAI recurrence. In addition, cleaning chemical programs designed to be effective and safe for respiratory sensitivities should always be implemented. Chemical programs available today enable users to achieve effective cleaning and disinfection with an HMIS health rating of 0. In many of these environments it is also important to utilize quiet cleaning systems to maximize patient experience and comfort. Noise level (measured in decibels) should always be considered when determining the system design in these facilities. The World Health Organization recommends 35 decibels as the maximum noise level in patient rooms. When planning a cleaning supplies list for Office Buildings, the following points should be taken into consideration in order to achieve the desired results. 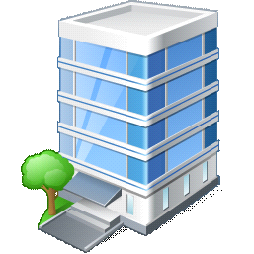 Office building cleaning is never one-size fits all. Industry, lines of business, personal preferences, as well as other factors can impact the cleaning supplies required from building to building. Identify the key stakeholders that must be satisfied before attempting to finalize the supply list. Communications with key stakeholders will help to identify the factors that influence quality, special requirements, and cost. Clarifying these expectations helps to get all parties on the same page and realize success. Although standardizing every site will not be possible, identifying primary best practices will help streamline operations and create consistency. LACK OF TRAINING is an all-too-common problem in the cleaning business that has disastrous results. When people are not provided the proper tools for success, they will figure something out on their own whether right OR wrong. Proper training helps people achieve success more effectively and efficiently than staff that are untrained. Many restaurants invest heavily in the décor of the facility to provide a customer experience that aligns with their brand. 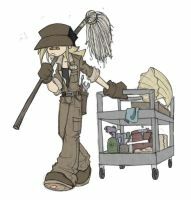 Unfortunately, the cleaning supplies list as well as the overall cleaning program is often viewed purely as an expense. As such, new and renovated restaurants quickly see a decline in cleanliness and then patronage. Ever heard this – “That place was really good when it first opened but boy it’s really gone downhill”? Who wants to eat in a dirty restaurant regardless of how the food tastes? Many people will walk into a restaurant with a great appetite, excited to enjoy a wonderful meal, walk into the restroom to wash up, and quickly lose their appetite. By the time management recognizes their error, a thorough deep clean or renovation is often required. Proper planning of the cleaning supply list and cleaning processes in any restaurant requires a mental transition of cleaning as a cost to cleaning as a marketing expense. Marketers understand the CUSTOMER EXPERIENCE and customers want a positive, clean, and consistent experience. When planning the cleaning supplies list for restaurants, in addition to the physical area of the facility that must be cleaned, remember the cleaning supplies required to keep tableware, glasses, and pots and pans clean and sanitary. The same supply and service providers often provide these cleaning supplies and related services. If you’re in the business of hospitality, the importance of the customer experience is nothing new. The Ultimate Cleaning Supplies List above covers many of the supplies you will need for your list. In addition, the laundry department often falls under the direction of Housekeeping. In fact, many facilities will cross-train staff to provide housekeeping services and laundry services. 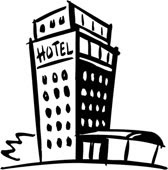 No cleaning supplies list for a hospitality facility would be complete without the supplies, systems, and services required in order to provide clean, fresh linens that enhance the customer experience. Credible service providers will audit services at no charge to review results, costs, and options for system enhancements. In many cases, these audits can lead to energy improvements, result improvements, and cost improvements. As with all facility types, aligning the process and training to the desired results will lead to performance consistency and cost stability that would otherwise be difficult if not impossible to achieve. Need more tips? Check out our blogs for more in-depth information.